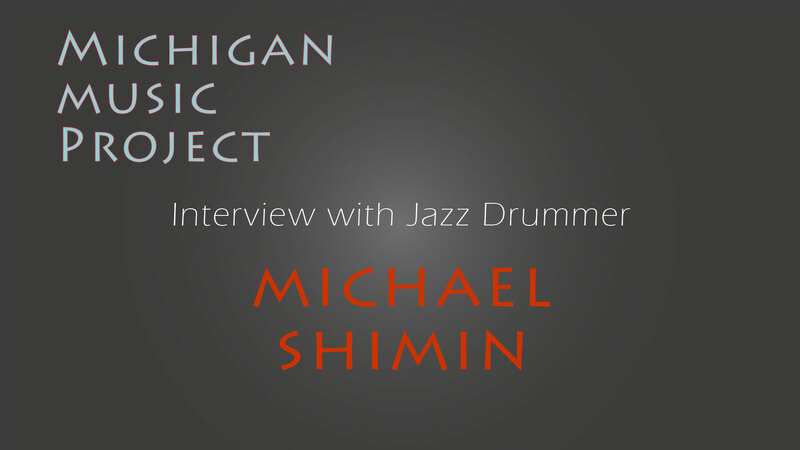 Michael Shimin is a well-known jazz drummer in the Midwest, a member of the Earthwork Music Collective, and often the drummer for May Erlewine Bernard and Seth Bernard. This is some archival footage for use in a forthcoming documentary, the Michigan Music Project. It includes a hand-drum solo at the end. First, thanks to all of you who commented here or sent me private messages. They helped a lot. I am getting a handle on it, bit by bit. Here is where we stand. Eventually parts of these videos of individual artists will be used to make a documentary on the Michigan music scene. However, these artist videos are not documentaries. Instead, they are a rough-cut of the footage for an artists that is stored online so they can be seen rather than sitting hidden on my hard drives somewhere and perhaps lost. In this way they can be useful while others are assembled. I have cleaned up the process and will redo the first two of May Erlewine as well. Each change to the video takes about two hours of time to compile and post on YouTube, so I try to save up the changes. When you multiply this by the scores of artists I intend to cover, we are talking about real time here. Also, these first videos were done earlier this year, and I now have a much better idea of how to do them, light them, mic them, and so on. In summary, each of these artist videos offers an introduction to the artist, but only as way to keep track of the footage. They are fun to look at, but will not have the cut-away shots, filler, B-roll, and so on that you would expect from a finished documentary. This is the footage from which documentaries will be created. I hope you enjoy them. Here is a video of jazz drummer Michael Shimin, an Earthwork Music Collective artist, and one of my favorite drummers. Anyway, I am on the job and working.